The model is ZJ2017B. There are some colors in this style. Now I will introduce the sapphire blue one for you. This one not only has the beautiful outside,but also has the powerful inside. So I think it will be liked by many people. 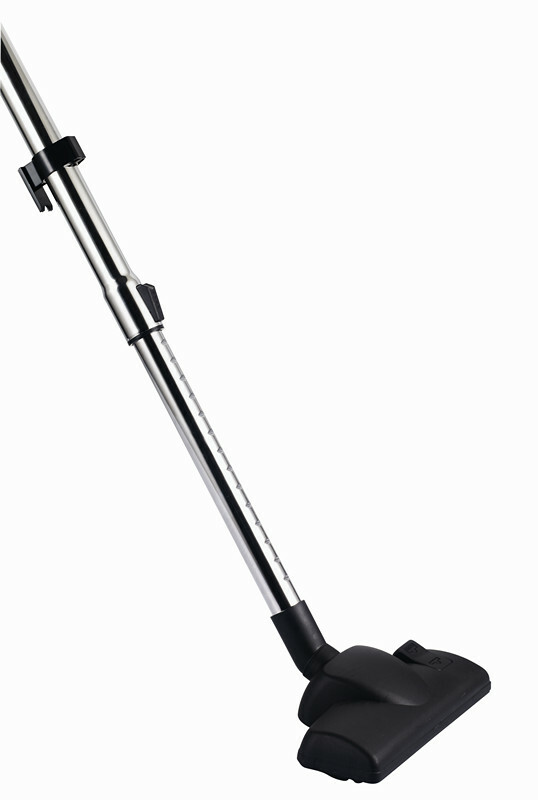 This one has power electronic control on body and hose swivel 360° degree rotation. 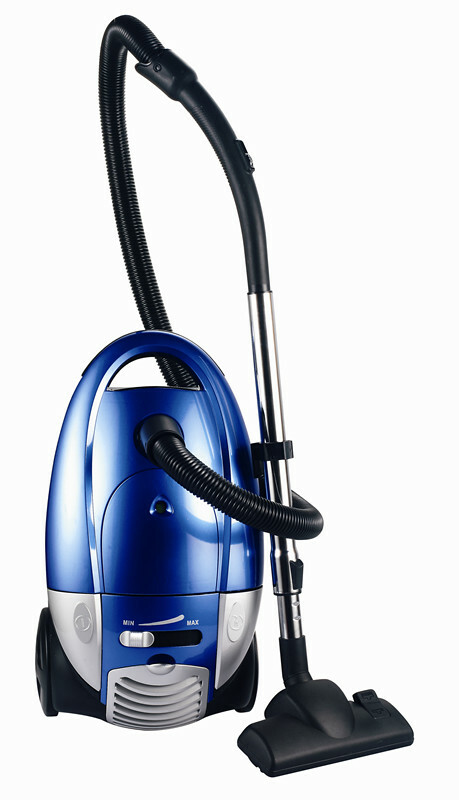 It also has strong power 2200W,so you can clean very easily. Huge 5.5L capacity of the dust bin can let you clean more durable. It also has accessories compartment and cord retractable. In a word,it is a Vacuum Cleaner that not only beautiful, but also practical. So hope you will like it. Now let's see some technical data blow. 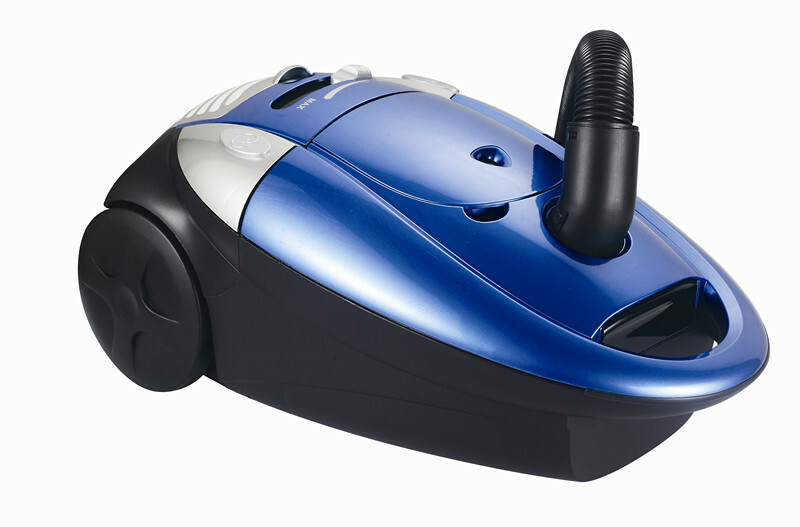 Looking for ideal Dust Full Indicator Vacuum Cleaners Manufacturer & supplier ? We have a wide selection at great prices to help you get creative. All the Big Dust Bin Capacity Vacuum Cleaners are quality guaranteed. 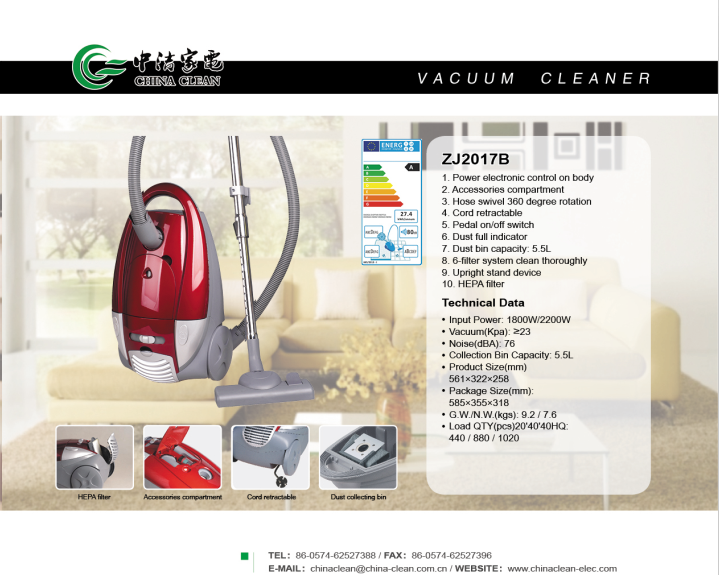 We are China Origin Factory of Vacuum Cleaner with Accessories Compartment. If you have any question, please feel free to contact us.